So as I alluded to yesterday, today’s post is all about my fellow bloggers who continue to inspire me everyday. 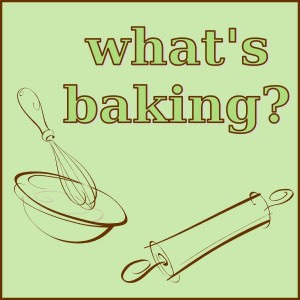 This month’s What’s Baking is no different. As described yesterday, the theme this month was “Bake with Fresh Herbs”. With no other restrictions or requirements, it was up to my fellow bloggers to decide. As you will see below, the variety was amazing and all of the dishes look delicious. Thank you to all that participated and be sure to check out the recipes below! The first recipe was from Jen of Beantown Baker. 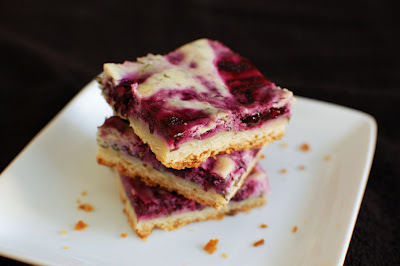 She challenged herself by using basil, a herb she doesn’t love, and produced these beautiful Blueberry Basil Goat Cheese Cake Bars. She liked the idea of pairing blueberries and goat cheese with a touch of basil, and based on the amazing photos, I’d say it was a total win of a recipe. I cannot wait to make these for CH – he will love them. 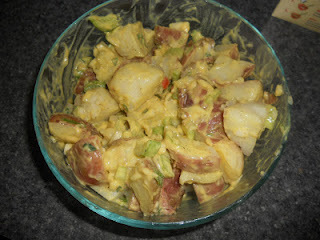 Next-up, Heather of Hezzi-d’s Books and Cooks took a little spin with the theme and made a Dijon Potato Salad with Fresh Herbs – which sounds perfect for a summer picnic. She used parsley, tarragon, and pineapple sage which sounds like a great combo and I will have to keep my eye out for the Pineapple Sage as I’ve never heard of it. 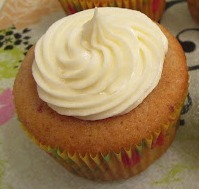 With a budding Thyme plant on my balcony, it is only a matter of Time before I make these (sorry, I am corny!!). 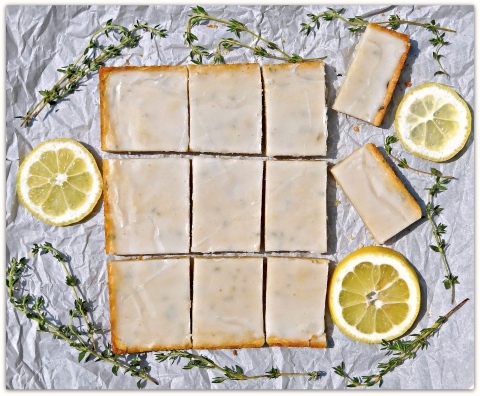 These Lemon Thyme Bars by Kim of Just Baked not only look amazing (great photo!) but sound delicious too. There is something about lemon that yells summer to me. I love that Kim went out her comfort zone to make these, and they look delicious – just wish I could go over for a cup of tea with her to enjoy. (PS – Kim said she had a hard time getting the leaves off the stalk – next time pinch the stalk of the thyme at the top and run your fingers down, they should pull them right-off)! If you are looking for a summer sweet treat, look no further. Jaida of Sweet Beginnings made these absolutely perfect looking Strawberry-Basil Cupcakes with Lemon Buttercream that just cry summer dessert. I love the strawberry and basil combo, so I can’t wait to make these at my next opportunity. Nicole of Seven Ate Nine was super lucky for this challenge – she was given a bag of her dad’s homegrown rosemary – her very favorite herb. 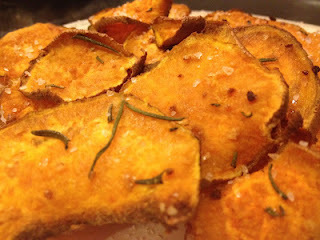 I love that connection to her recipe and these Baked Rosemary Sweet Potato Chips sound absolutely amazing. They would be an awesome side-dish to anything really, but I think the next burger I make will be accompanied by these. 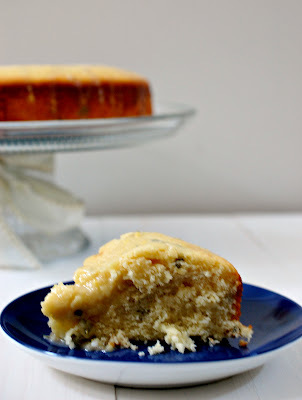 Lemon + Basil = a heavenly combo in my books and that’s exactly what makes Eva of Eva Bakes’ recipe for Lemon Basil Cake sound irresistible, not to mention the picture of a moist and crumbly cake. She didn’t get any herbs in her biweekly CSA box, but was able to pick-up some fresh basil at the Farmers Market which lead to this cake – glad she did! 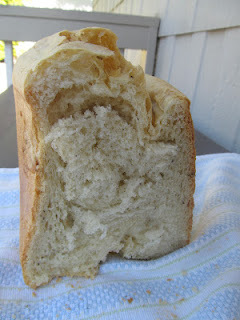 Rosemary bread would have to me one of my favourite Italian inspired flavours, so I was thrilled to see that is breadmaker friendly – I’ve been meaning to get some use outta that thing sitting on my counter. Cara of the Boys Made Me Do It made this recipe for Rosemary Bread and it was a hit in her household, so much so they ate it before she could get a picture. Since my rosemary plant is expanding by the day, you can be sure this will be made in the near future. 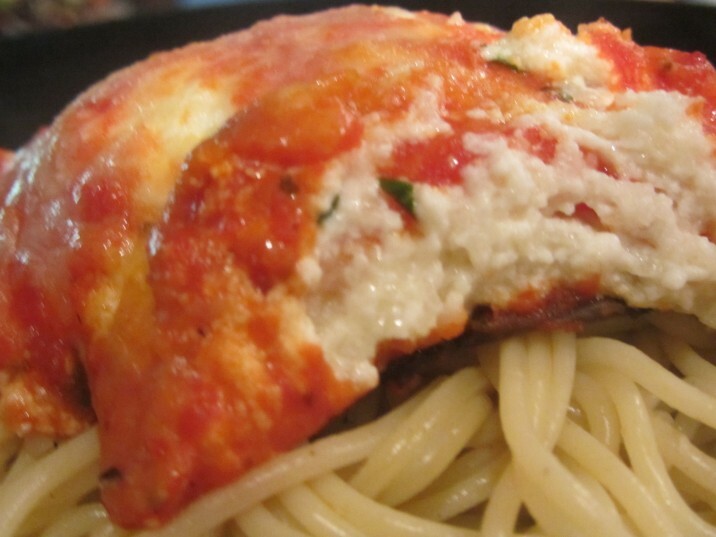 Carrie of Carrie’s Sweet Life took the savoury route and made these absolutely delicious looking Lasagna-Stuffed Portobellos which sound like a great dinner option next week. Carrie took the opportunity to use fresh herbs in this recipe, as opposed to her usual dried, which is exactly why I love this theme. Looks great Carrie! 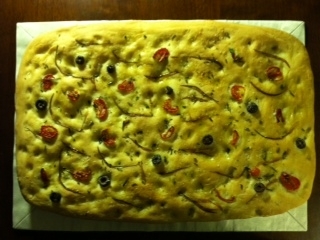 And finally, one of my hands-down favourites – Rosemary Focaccia courtesy of Joanna at Newlywed and Newly Cooking. She was out with her husband for dinner and got the inspiration for this amazing looking bread. Although time consuming, it looks like it was well worth it and I love that she added grape tomatoes and onions to the top – yumm. I am so glad someone made this recipe as I’ve been wanting to make it for a while, so I can’t wait to tackle it soon. 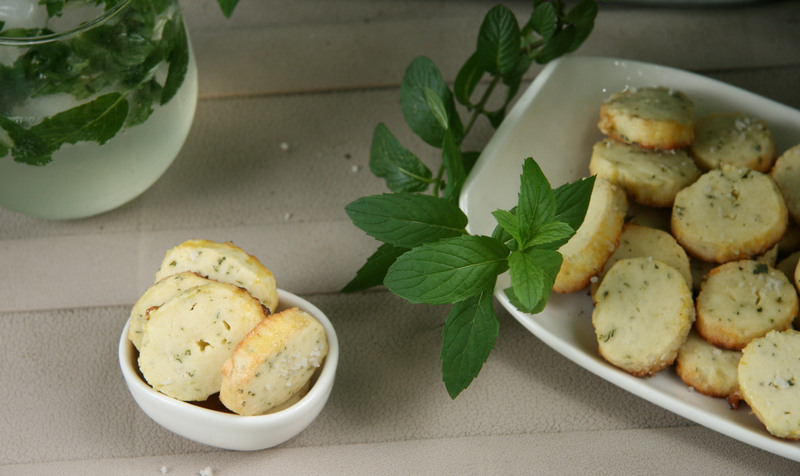 And finally, my contribution is Mojito Cookies – a good use for my wild-growing mint plant. THANK YOU to everyone that contributed this month. Albeit a small month, we were definitely mighty. Your recipes were inspiring and I can’t wait to try each of them – if only you were all nearby to cook them for me! Jaida of Sweet Beginnings is the fabulous host for the month of July and she has chosen Bake with Summer Fruits as the theme! I have so many ideas, I cannot wait! 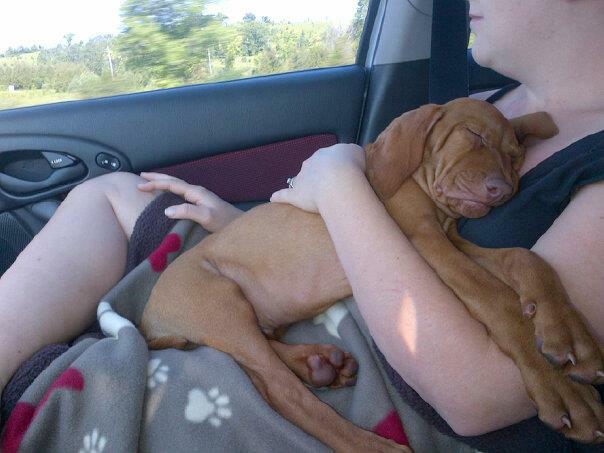 Ps – I do apologize for the slight delay in getting this posted….we have a recent addition that arrived on Saturday…it is safe to say he is taking-up a little bit of our time :)! Great round-up! Thanks so much for hosting and for choosing this month’s theme!